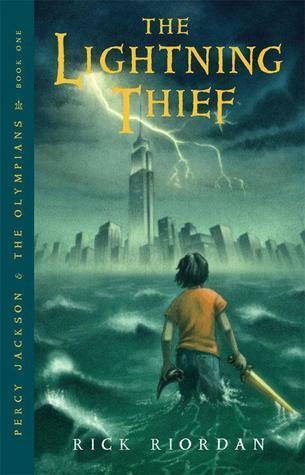 This is a review of “The Lightning Thief” which is the first book in the “Percy Jackson and the Olympians” series by Rick Riordan. I was just a normal kid, going to school, playing basketball, skateboarding. The usual. Until I accidentally vaporized my maths teacher. Now I spend my time battling monsters and generally trying to stay alive. This is the one where Zeus, God of the Sky, thinks I’ve stolen his lightning bolt – and making Zeus angry is a very bad idea. The personalities of the Greek gods, how they have integrated into the modern age, and how they don’t really care much or at all about all those little half-blood kids they keep on spawning was really well done in this book. The gods aren’t kindly or goody two-shoes in the Greek canon, so it’s good that they aren’t here either. The way the heart of civilization keeps moving around is also enjoyable to read about. It is quite a fun idea and one can almost follow it throughout human history the way it was described. Sally Jackson was an awesome mother who deserved more. She deserved more than what so got. What is also worthy of note is the way the rest of the world reacts to the disappearance of Sally Jackson, and the way Percy becomes a suspected and a hunted fugitive. It was unexpected and appreciated. Percy not being the son of Zeus is inspired. It would have been so easy to make him into the second coming of Zeus. Poseidon doesn’t actually get too much screen-time in most modern stories, so he was a good choice. I do feel, however, that the story would have been more tense and interesting if Riordan had gone one further and had made Percy the son of Hades instead. I like that Percy had troubles at school and apparently had ADHD and dyslexia. If that had been further expanded upon it would have made the story so much better, but it was conveniently forgotten and set aside the second Percy arrived at Camp Half-Blood, and that was just annoying. Now, on to the complaints (and beware, there are a lot of those). Percy Jackson is a wishy-washy kid who goes back and forth without much foreshadowing. Suddenly one thing and then another. At one point he hates his absent father, then he’s all into this new stuff at Camp Half-Blood, and suddenly he hates his father again. No, wait, he doesn’t hate Poseidon when the god saves him. Cool. Percy isn’t the only character who goes from one thing to the other. When Annabeth says that most kids at Camp Half-Blood have learning difficulties because of their godly progenitors, that is okay. But when we several chapters later are suddenly reminded that she has dyslexia as well, it made the story stop up. I had to check to make sure that I didn’t remember wrongly, but nope, it wasn’t mentioned earlier at all. It was barely implied if you squint and turn your head sideways. Percy doesn’t actually grieve the supposed death of his mother, the one person who has stood by him no matter what. His lack of reaction to her death simply robbed the moment of all its drama and impact. That alone is enough to know that Sally Jackson isn’t dead and will be coming back at some point. Not to mention that most of the characters – Percy himself included – lack a real personality. All of them are stereotypes except for the gods but they already had personalities invented for them a long time before Riordan got his hands on them. Some parts were too painfully obvious, and also painfully convenient. Even with gods meddling about what are the chances of coming across a clue in the middle of nowhere after escaping three monsters on a bus? Or a poodle dyed pink who just happens to know how they can get some more money? Also, Percy’s complete and utter lack of self-preservation and brains is worthwhile mentioning. As is the fact that except for Annabeth there aren’t any good female characters around after Sally Jackson dies. And back to the spirit of western civilization. Although a cool concept it totally and completely disregards the other civilizations that came before and existed at the same time. That is quite insulting actually. Then there are constant monsters Percy meets and defeats. Sure, some he struggles with it, but he still defeats them and survives. He is twelve years old. He ought to react a bit more to killing his teacher or meeting a minotaur or a fury. One would also expect him to actually have a mental break down at some point what with all that’s happening, but he just shrugs it off and keeps on going. That is not realistic in any sense of the word. And save some monsters for the next however-many books there are in this series. Regenerating or not, the way Percy goes through them at the current pace there won’t be any left. The writing itself is a bit too forced, with several awkwardly placed ‘man’s in sentences as if the author suddenly remembered that these were kids and kids talk like that. Except they don’t. This was told as if ancient-old-man-Percy is retelling the story of his adventurous youth to someone, and the constant “I didn’t know that until later” throw off the flow even more. Although it is an okay book for the younger audiences, it doesn’t even hold a candle up to the J.K.Rowling’s or John Flanagan’s stories. Thankfully it’s a quick read, but definitely not something I recommend to anyone. My girls and I love this series! “Also, Percy’s complete and utter lack of self-preservation and brains is worthwhile mentioning.” I wholeheartedly agree with this. One of my biggest issues with this book was how Percy doesn’t really have any agency, which is a huge detriment since he is the protagonist of the book. He seems too fumble from one event into the next, escaping danger through luck alone rather than his own ability or those of his companions. Thanks for keeping honest in your review; I know a lot of people laud this series for its similarity to the Harry Potter series and as such don’t hold it in the contempt it deserves. I know! Several times I was wondering if pages had been ripped out as we went from one happening to the next. Or if the author had forgotten all those learning problems Percy was said to have at the very start of the book because they suddenly didn’t matter at all. Percy was a Gary Stue through and through.